How To Keep From Getting Sued For Infringing "Intellectual Property"
When it comes to selecting a name for your new domain, it's a good idea to make sure that no one else is already making use of it. Even if a particular name isn't currently making the rounds on the Internet, this doesn't mean that it isn't owned by someone else. So how can you make absolutely sure that the name you have your heart set on isn't already the intellectual property of someone who would love nothing better than to sue you blind for infringing on it? When it comes to checking up on domain names, it's a great idea to use the domain name registry to make sure that the one you like isn't already in use. There are hundreds, if not thousands, of these registries online. If your name doesn't show up in any of them, this is a good sign that you have achieved the rare distinction of coming up with one that is truly unique and distinctive. Even if the name you like is already in use, you can still use the registry to come up with possible alternatives. If Your Name Is Taken, What Can You Do About It? If the name is already taken, don't despair. You can check the registry to see if the name is for sale by its owner. You may be able to purchase it for a reasonable price. If the owner is not interested in selling, you'll need to come up with a different one. Use the registry to see other examples of names. Let your inspiration take full flight. It shouldn't be that hard to come up with a unique name that represents your business in a positive light. If Your Name Is Not Taken, How Can You Secure It? If the domain name of your choice is not taken, it's high time you did so. Contact your domain name services provider and snap it up as soon as possible. The sooner you secure it, the less likely someone else will come along after "thinking it up" just as independently as you did. Registering your domain name will also save you from a lot of legal wrangling in case someone else decides to challenge you for it. 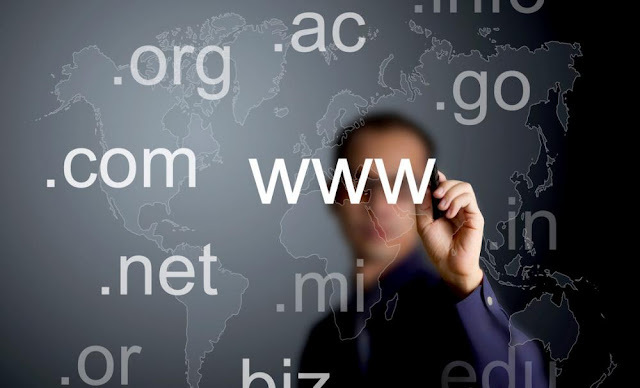 Above all, getting the domain name of your choice allows to decide how your company will be branded. The name that you choose for your domain will play a very important part in your corporate image. You'll need to choose a name that is short, snappy, and memorable. Try to steer away from fads or too-obvious humor. Choose a name that you can live with and be proud of, today as well as 40 years from now. You'll need to exercise caution and care when you choose your domain name, since this is a choice you'll be living with for years to come.